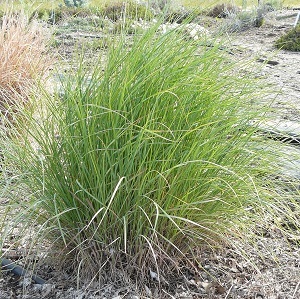 Bluebunch Wheatgrass, a lower Foothills native bunchgrass, greens up early in the spring. Can see out prolifically. Excellent for reclamation, naturalization.